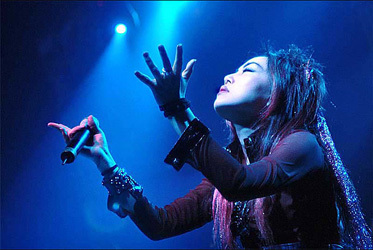 Saeko Kitamae is a Japanese Heavy Metal singer. At age 14, at a time when she was suffering a lot of emotional turmoil in her life, she happened to hear “heavy metal/hard rock" for the first time. In her hometown her first taste of band action would be fronting the 1995 act Insania this act switching title to Fairy Mirror in late 1999 and going on to achieve national prominence. However, illness forced her out of the band and Saeko journeyed to Switzerland to receive treatment and, at the same juncture, learn English.